Know where you are. Plan where you’re going. 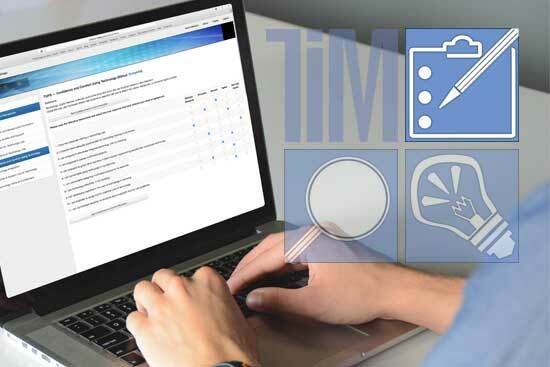 The TIM Evaluation Tools include a variety of different data collection instruments, both quantitative and qualitative, designed to inform decision-making and alignment of resources at the classroom, school, and district levels. These tools include the Technology Uses and Perceptions Survey (TUPS), the Technology Integration Matrix Lesson Observation Tool (TIM-O), the Action Research for Technology Integration (ARTI), and a survey maker. The TIM-O is also available for use as a reflection tool (TIM-R) and a lesson planning tool (TIM-LP). The tools are all managed from a central Administration Center. Gather data to support decision-making. This online survey provides essential information about current teacher use and perceptions of technology. The results can be used to collect baseline data for special initiatives, inform technology purchase decisions, identify professional development needs, and facilitate coaching in the use of instructional technology. The TUPS looks at what teachers believe about the role of technology in the classroom, as well as their comfort and confidence with technology in general, with pedagogy of technology, and with a variety of different specific technologies. It also asks teachers about the frequency with which they and their students use those technologies. Document the pedagogical dimensions of classroom technology use. The TIM-O is a flexible tool for classroom walkthroughs that can be used for formative feedback, peer coaching, grant evaluation, or professional development planning. The TIM-O is a web-based system that works on any device and requires no software installation. It’s designed to guide principals, teachers, and others through the process of evaluating the level of technology integration within a particular lesson. When completed, the tool produces a profile for the observed lesson in terms of the Technology Integration Matrix. As teachers increase integration of technology in their classrooms, they begin to take more responsibility for ensuring its effective use with students. The ARTI tool provides a framework for teachers to design and conduct their own action research projects. ARTI guides teachers through the five basic steps of an action research project: identification of a question, description of the context, data collection, analysis, and the creation of findings. Collect data an new topics as needed. 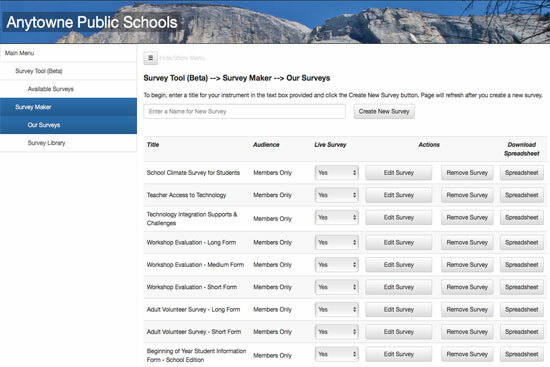 The newest member of the TIM Tools suite allows schools and districts to quickly create custom surveys to push out to their staff or to the wider community. Multiple question types allow for the creation of many types of surveys, questionnaires, forms, and reports. Included with the Survey Tool is a starter library of survey topics including: school climate, bullying, home technology use, volunteering, end-of-year checklist, and workshop evaluation. 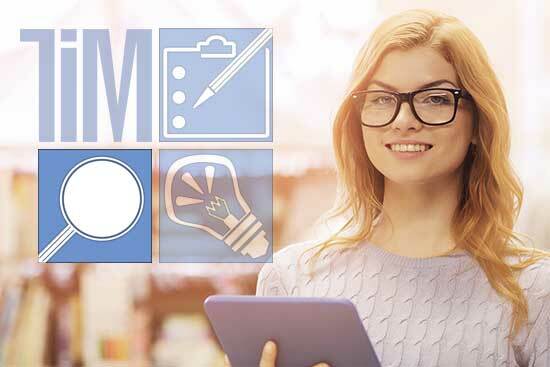 Since the current TIM Tools version allows for the use of a custom school or district header banner, clients can now create public surveys that maintain their school or district branding. Manage all TIM Tools from a single interface. 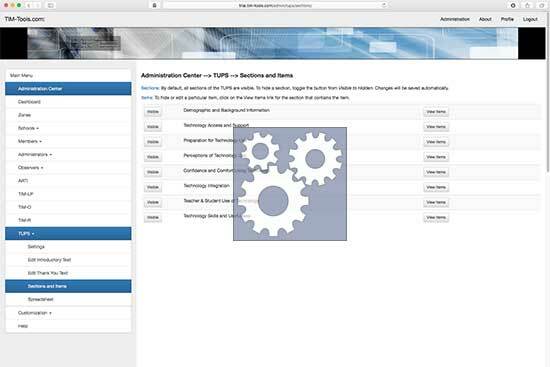 The Admin Center is user-friendly, and doesn’t require time for reading complex manuals. The processes for uploading schools and members, assigning administrators and observers, viewing summary usage reports and other common tasks are all explained within the Center. Most importantly, the Admin Center is where you will access your TIM Tools data. Pasting the raw data into specially-designed templates instantly generates extensive reports that identify needs, provide insight into the current levels of technology integration, and pinpoint the most pressing (and promising) professional development topics. 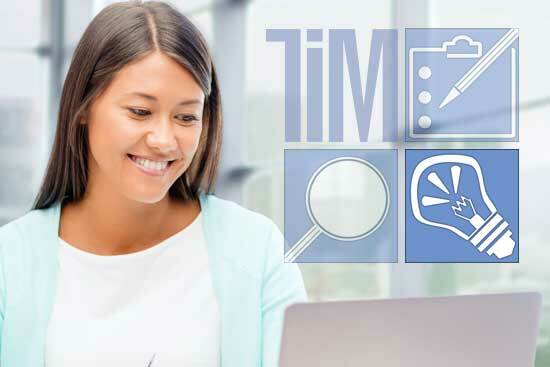 Everything you need to get the most from your TIM Tools instance. 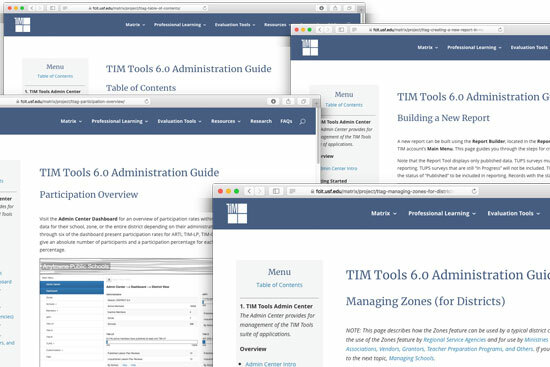 The TIM Tools Admin Guide covers all of the exciting new features in version 6.0. The Guide has been completely rewritten to support the growing range of clients now using TIM Tools. In addition to covering all of the core administrative functions, the version 6 Guide explains how the added flexibility of roles and zones can support regional agencies, associations, consultants, grant evaluation, and the wide range of school system structures encountered around the world. Each month FCIT publishes a newsletter with short articles on teaching and learning with technology, using digital content in the classroom, and professional development for technology integration. Recent posts include Active Learning: Engaging Students’ Minds, Leveraging TIM Tools Roles for Research and Evaluation, and Nail Your Next Tech PD with the Quadrant Graph. Subscribe today! The subscription form will open in a new window. When you have subscribed, you can close the new window to return to this page.